This scheme of work explores the 'Age of Revolutions' period across the late eighteenth and early nineteenth centuries. It was written for the Historical Association by Karin Doull to supplement the Age of Revolutions Teacher Fellowship Programme, which is funded by Waterloo 200. The Napoleonic wars shaped their age: children were threatened with 'Boney' long after he had gone. Images of the time in words and pictures show the importance of the military both in polite and less salubrious company. 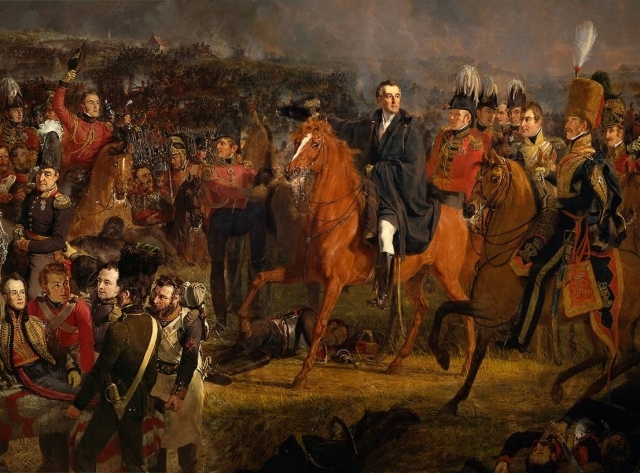 Some of England’s most enduring heroes, Nelson at Trafalgar and Wellington at Waterloo, were created at this time. The battles of this period pepper our culture often without us being aware of it, through place-names or recipes such as chicken Marengo. It was in the Peninsular War that the term 'guerrilla' was coined to describe how the Spanish fought against Napoleon's armies. Had Hitler paid more attention to this period of history the battle for the Eastern Front would never have been considered. The upheavals generated by the prolonged military conflict led also to a series of popular movements that reflected great social changes. Across continents ordinary people began to demand a say in how they were governed. Many of the soldiers who fought were volunteers linked to local geographical areas. The developing political consciousness also had local roots and manifestations. It is always useful, where possible, to provide a local lens through which to view a period of British history. The focus is on developing historical understanding and thinking. Children are encouraged to develop chronological understanding by linking the events to the historical context. Underpinning much of the unit is the concept that there are reasons why people acted as they did; children should recognise the importance of causality. There is a strong emphasis on children investigating issues and solving valid historical questions, recognising the nature of the evidence on which their judgements and knowledge are based. This unit can be used alongside that for the Georgians.